Fifty-nine percent (59%) of employees report having at least one chronic disease or condition, and 33% of them say that their work environment negatively affects their ability to manage their condition. 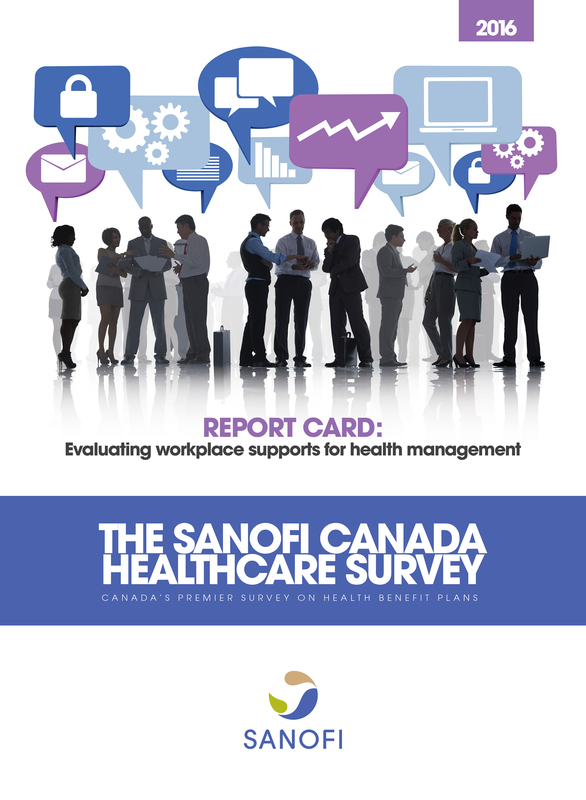 The 2016 edition of The Sanofi Canada Healthcare Survey, Canada’s premier survey on health benefit plans, captures how employees and employers with health benefit plans rate their benefits, workplace wellness programs and elements of workplace culture that influence health and well-being. It also urges for the revamping of plans to provide more options and flexibility for employees, while also motivating greater personal responsibility for managing health. The Sanofi Canada Healthcare Survey reports that plan sponsors (employers with health benefits plans) may be underestimating the impact of chronic disease in the workplace, and how the workplace can negatively affect employees’ ability to manage their conditions. Similar to last year’s report, the survey reveals that it is all the more important for employers to understand the data around chronic disease to ensure the health and productivity of their employees. 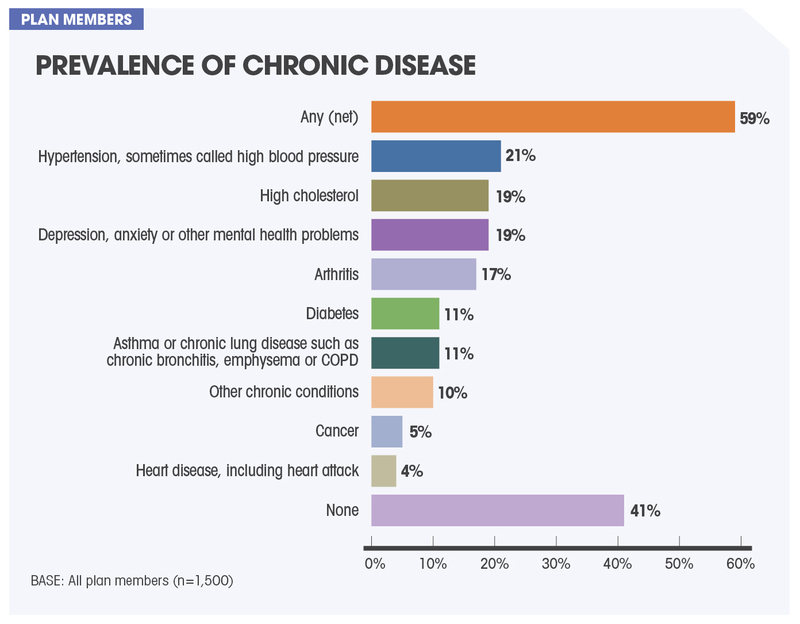 Plan sponsors estimate that just 32% of their employees have a chronic condition. Meanwhile, 59% of employees report having at least one chronic disease or condition, climbing to 79% among those aged 55 to 64. The three most common conditions are high blood pressure (21%), high cholesterol (19%) and mental illness (such as depression, 19%). 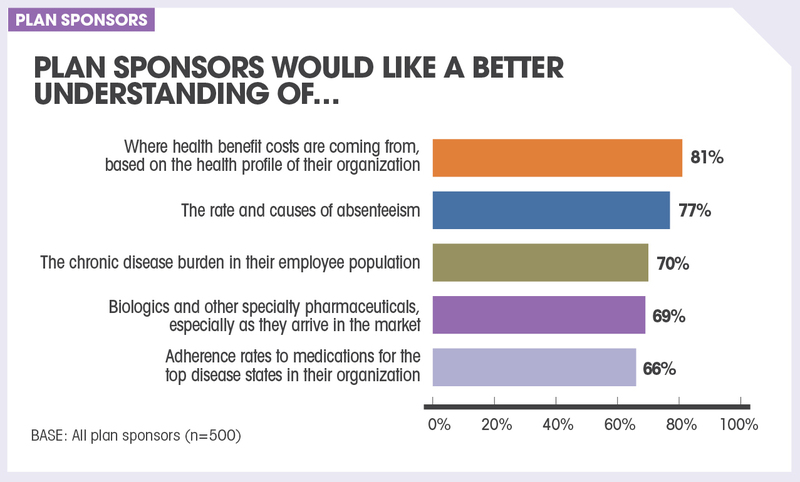 70% of plan sponsors would like to have a better understanding of the burden of chronic disease in their workplace. 38% of employees with chronic diseases indicate that their condition has caused them to miss work or made it harder to do their jobs. On the flip side, 33% also report that the work environment negatively affects their ability to manage their condition. 84% of employees with chronic conditions would like to know more about their conditions and how to treat them, and 64% would meet with a healthcare coach for help if this were part of their health benefit plan. It can take months or even years to change behaviours that are an important part of treatment for chronic disease, such as losing weight. While employees are ultimately responsible for their own health, research shows that people are more successful when they are not alone—for instance by taking advantage of healthcare coaching sessions, or support groups. “Medical evidence and claims data confirm that personal knowledge does not always translate into action when it comes to chronic disease management. When additional resources and supports are in place, people can do much better,” says Loretta Kulchycki, member of the Advisory Board and Vice-President of Group Marketing at Great-West Life. The workplace has an impact on healthy behaviours, particularly when it comes to stress management. The Sanofi Canada Healthcare Survey also found that job satisfaction can make a difference when it comes to employees choosing to do something to improve their health. However, currently the workplace falls short on certain key indicators for psychological health and safety, such as reasonable workloads. Plan members with access to health and wellness programs at work are far more likely to be satisfied with their current jobs (80%) than those without such programs (66%). Dissatisfied employees who also have chronic diseases are much more likely to report that their illnesses have caused them to miss work or be less productive (52%, versus 36% among satisfied employees). And dissatisfied employees are more than twice as likely to report that the work environment negatively affects their ability to manage their condition (63% versus 26%). 40% of plan members report that their work environment has a negative impact on stress management, jumping to 68% among those who are dissatisfied with their jobs. 67% of employees overall report their workloads are reasonable and 66% say their supervisors support them in getting their work done—results which fall below the recommended level of 85% for psychological health and safety in the workplace. Flexible work arrangements are first on plan members’ wish list for wellness support; plan sponsors, meanwhile, would like to take more direct action on health through personal services such as healthcare coaching. “Flexible work arrangements and other HR policies are practical actions that can make an important difference, and where costs need not be a barrier,” says Nathalie Laporte, advisory board member and Vice-President of Product Development, Marketing and Strategy, at Desjardins. It’s also important to note that privacy issues may be less of a barrier than previously thought. A notable number of plan members would give their consent to insurance companies to use their personal benefits claims data (for example, the drugs they are taking) to generate personalized healthcare supports (for example, educational material on a particular chronic disease). To support personal wellness, plan members would most like their employers to offer flexible work arrangements (41%), subsidies for gym memberships or fitness classes (36%) and healthy foods and snacks at work (36%). If they could, employers would most like to support employees’ wellness by offering access to healthcare professionals who would assess personal health and risks for illnesses (35%), by having a fitness centre or gym at work (29%) and by offering access to coaching sessions with a healthcare professional (27%). 58% of plan members would consent to receive personalized health-related information, based on their own use of benefits, from insurance companies. Plan sponsors want to put health ahead of cost containment—but need more guidance and practical tools from providers. The time is right to integrate benefits and wellness to create health management plans, built upon the principle of employees’ personal accountability. “We have a tremendous opportunity to stop thinking about wellness and benefits as two separate things and to start thinking about an integrated health management plan,” says Lori Casselman, member of the Advisory Board and Assistant Vice-President, Integrated health solutions, at Sun Life Financial. Plan sponsors are more willing to invest in programs or services that prevent future claims (43%) than they are in programs/services that reduce current claims (18%). 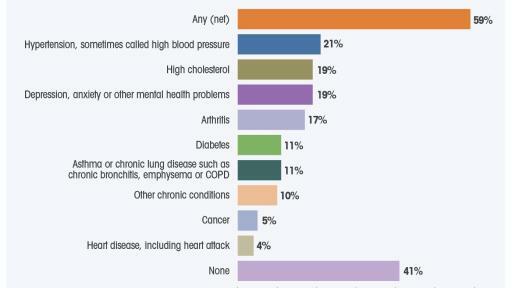 If they could change their benefit plan, setting aside all barriers, plan sponsors would most like to see more benefits that prevent illness (36%) and support chronic disease management (31%). 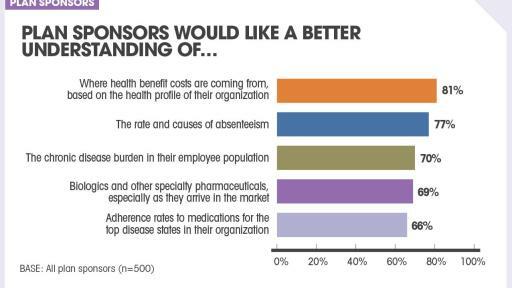 81% of plan sponsors would like a better understanding of where benefits costs are coming from based on their health profile of their organization. Much has changed since benefit plans first came into being in Canada more than 30 years ago, yet plan designs have not kept pace. “We could be bolder. We have the knowledge, tools and technology and frankly, the market’s expectation, to do more to create a better benefits plan. Health metrics should be built right in,” says Chris Bonnett, Advisory Board member and Principal, H3 Consulting. 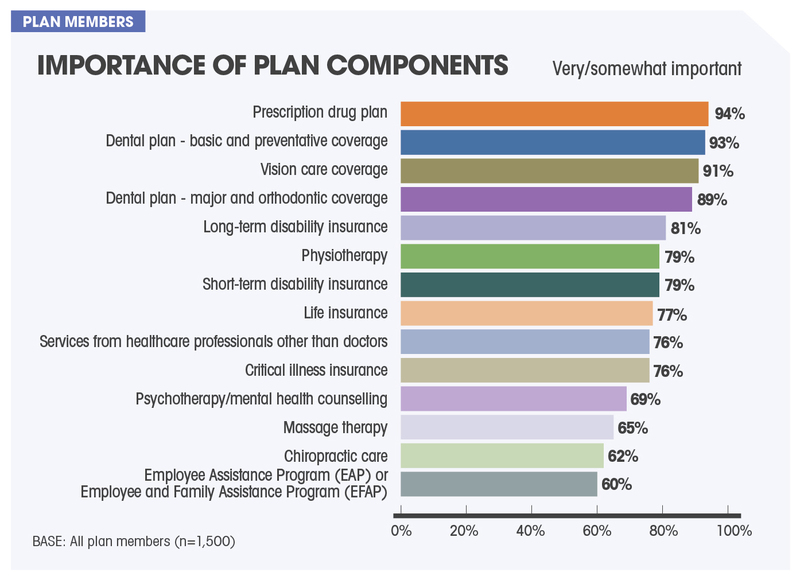 Plan members most often state that benefits for prescription drugs (94%), basic dental services (93%) and vision care (91%) are very or somewhat important to them. 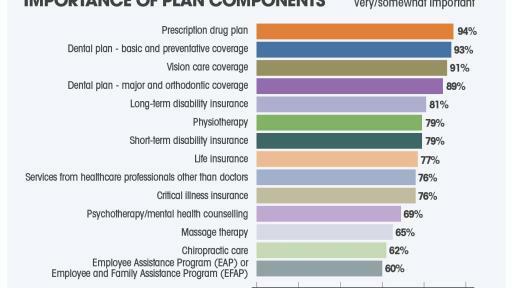 43% of plan members submitted at least one claim for massage therapy in the past year, for an average of 5.1 claims. Younger employees (18-34 years) more likely get massages to relax or relieve tension (47%), while older employees (55-64 years) more likely get massages to help treat an injury or health condition (58%). Plan members with access to wellness programs are much more likely to agree that their health benefit plans meet their needs (64%, versus 41% among those without wellness programs). Plan sponsors with wellness programs are more likely to indicate they will invest more for health benefits over the next five years (41%, compared to 27% among those not active in the wellness arena). 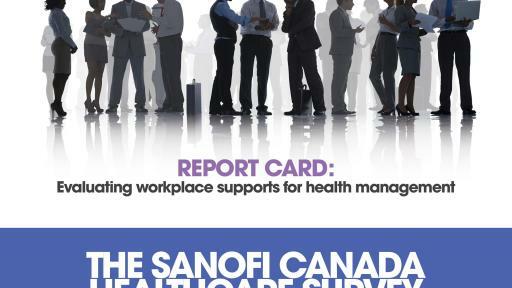 Note to the editor: The 2016 Sanofi Canada Healthcare Survey is available for download at www.sanofi.ca. The 2016 edition of The Sanofi Canada Healthcare Survey was initiated by Rogers Insights Custom Research group on behalf of Sanofi Canada. The survey was conducted online between January 4 and January 6, 2016. In total, a national sample of 1,500 primary holders of group health benefit plans completed the study. The data has been statistically weighted to ensure the age, gender and regional composition of the sample reflect those of the adult population according to the 2011 Census data. This survey was coupled with another online survey of 500 health benefit plan sponsors from across the country to bring employers’ perspectives on the issues at hand. The Sanofi Canada Healthcare Survey is Canada’s premier survey of health benefit plans. It has a long history of capturing the opinions, concerns and behaviours of employees with health benefit plans. Now in its 19th year, the landmark survey continues to give voice to Canadian plan members and plan sponsors. The study is not possible without the sponsorship of Sanofi Canada, and additional support from Desjardins Insurance, Manulife, Medavie Blue Cross, Great-West Life Assurance and Sun Life Financial. Sanofi entities in Canada include the Diabetes and Cardiovascular Diseases Business Unit, the General Medicines, Established Products and Consumer Healthcare Business Unit, Sanofi Pasteur (vaccines), Sanofi Genzyme (rare diseases, multiple sclerosis and oncology) and Merial (animal health). Together they employ close to 1,700 people. In 2015 Sanofi companies invested $133.3 million in R&D in Canada, creating jobs, business and opportunity throughout the country. Follow us on Twitter @SanofiCanada and on YouTube YouTube. Click here to learn why we’re one of Canada’s Top 100 Employers for 2016.